Big news from Everett today! 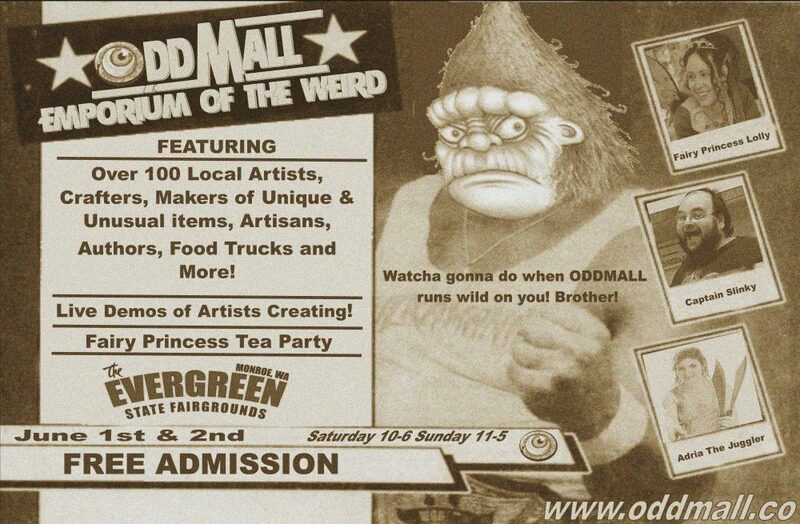 Seattle Weekly presents Oddmall Seattle is now working with Tilted Thunder roller derby! We will have a booth set up in the lobby of the Comcast Arena during the Roller Derby Bouts in March and April to promote Oddmall. The Tilted Thunder Roller Derby has a bout on June 1st. Come early to Oddmall and stay for the Roller Derby! Roller Derby girls will also be on site at Oddmall for pictures and autographs!